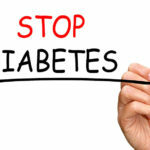 High blood sugar, also known as diabetes, is a serious medical problem. 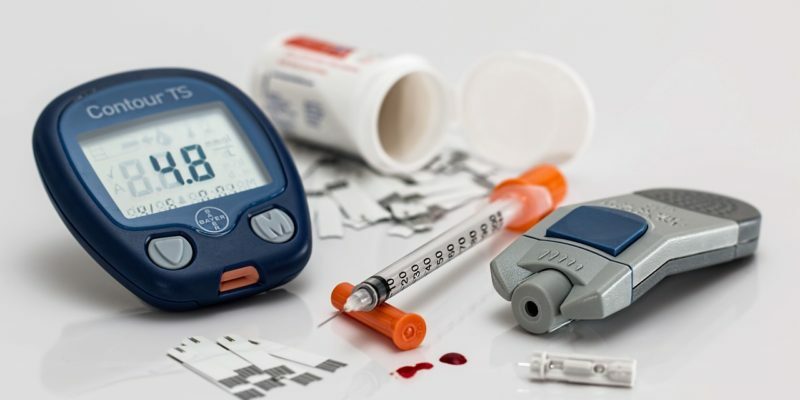 Diabetes is linked to an increased risk of heart attack, stroke, cancer and dementia. The good news is, diabetes can often be stopped and even reversed. Diabetes is the medical label for when blood sugar reaches a certain number. What is very scary, is that most people are struggling with elevated blood sugar, yet they don’t know it. This is a truly silent killer and needs to be stopped. Diabetes ravages the body by altering our cellular proteins. 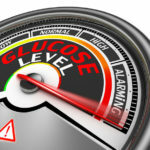 Yes, excess blood sugar, known as glucose, changes the protein in our cells. This affects every cellular function and even our hormones. When the proteins are changed from excess blood glucose, they do not work properly. Symptoms and disease are the end results. 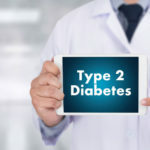 There are two types of diabetes: Type 1 and Type 2. For this article, we are speaking of Type 2. In this scenario, insulin is made in the body, but the cells and tissues no longer respond to its action. This is called insulin resistance. Over time, pancreatic function diminishes and insulin production is inadequate. So, you have two problems. The insulin doesn’t work AND there is not enough of it. Drugs do not address the cause of the problem. The Drs. Wolfson do. Drugs have nasty side effects, have significant cost, and do not have significant impact on bad outcomes. Drugs can lower numbers but do little to lower risk of heart attack, stroke, or dying. According to the CDC, about 95% of all Type 2 diabetes cases are caused by obesity or lack of physical activity. Here’s our basic remedy for preventing, treating and reversing diabetes: Give the body what it needs and take away what it doesn’t. Eat Paleo foods. By following the nutrition plan of our ancestors, you can fix your blood sugar. Eat veggies with every meal. Eat wild seafood and grass-fed meats. Eat nuts, seeds, avocado, olives and coconut. Here are some things you need to cut out: sugar, corn, soy, and grain such as wheat, barley and rye. Limit your fruit intake. In fact, if your blood sugar is high, you should cut out all fruit until blood sugar is normal. Then, you can introduce one serving per day. Skip the alcohol and drink plenty of quality water. Coffee is okay when organic. Get sunshine. People that get the most amount of sunshine have the lowest risk of diabetes. Don’t live in an area with abundant sunshine? Move or take plenty of vacations. Vitamin D supplements are not the answer. Sunshine is. Sleep is the time of recovery in your body. The body heals when you sleep. Sundown to sunrise, you need to be sleeping. Artificial light destroys insulin function. Avoid when possible. Avoid chemicals and toxins. They interfere with bodily function and will raise your blood sugar. Get an air purifier. Here’s a list of things we use in our home that are free of chemicals and toxins. Berbe – This herb works wonders for blood sugar. 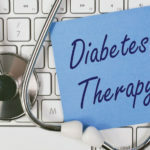 It has been studied versus the most common diabetes drug and found to be equal in efficacy. I have used this successfully with my patients for years. Many other benefits as well for cholesterol and brain health. The Chinese have studied berberine for years. Trust their results. Heart Beet – This food supplement is ideal to provide nutrients such as nitric oxide to help normalize blood sugar. Super B – A healthy immune system needs B vitamins to function. Add this powerhouse to your regimen and reap the benefits.